Dentures- Scarborough, Richmond Hill, Committed To Granting You Beautiful Smiles! Dentures are custom designed, depending on each individual case to fill the spaces of your missing teeth and be perfectly adjusted to your jaws, so that it feels comfortable, look natural and acts just like natural teeth. They are usually a dentist’s last resort because they fix the missing teeth problem, but they don’t preserve the bone structure in your jaws (with a denture you are prone to jawbone loss). However, dentures are still one of the best solutions for missing teeth. Depending on the amount of missing teeth, you can either get a partial denture or a full denture if you lost all your teeth. 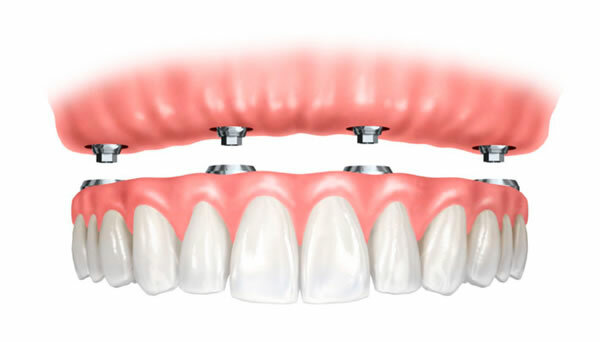 Fixed dentures can rely on dental implants as a solid foundation for the permanent apparatus. 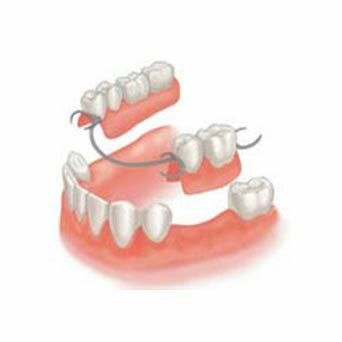 However, there is always the option of the traditional removable denture. After your consultation with Dr. Hu, he’ll be able to recommend the best plan for you.